Part of the Fiennes contemporary lighting range finished in polished nickel. 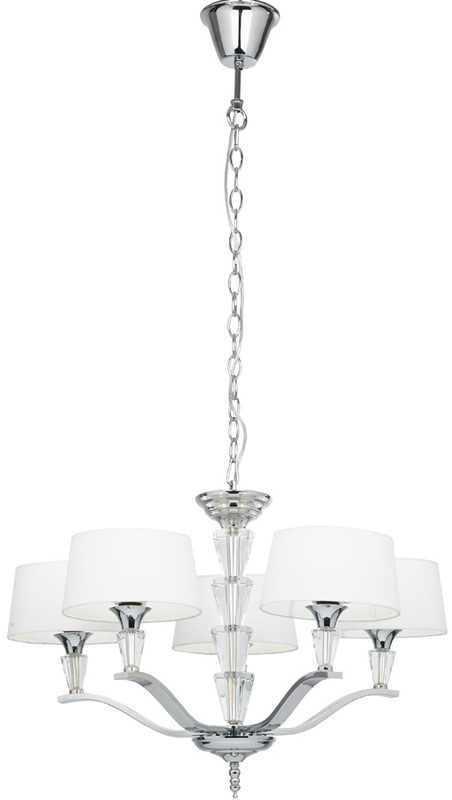 A lovely contemporary chandelier, with a circular ceiling rose and chain suspension finished in polished nickel plate. The central column of the chandelier is decorated with four stacked tapered heavy crystals that will add sparkle when illuminated. Each of the gracefully curved flat section lamp arms are decorated with a heavy tapered crystal and topped with a circular white fabric drum shade. A slender stacked ball bottom finial adds the finishing touch. 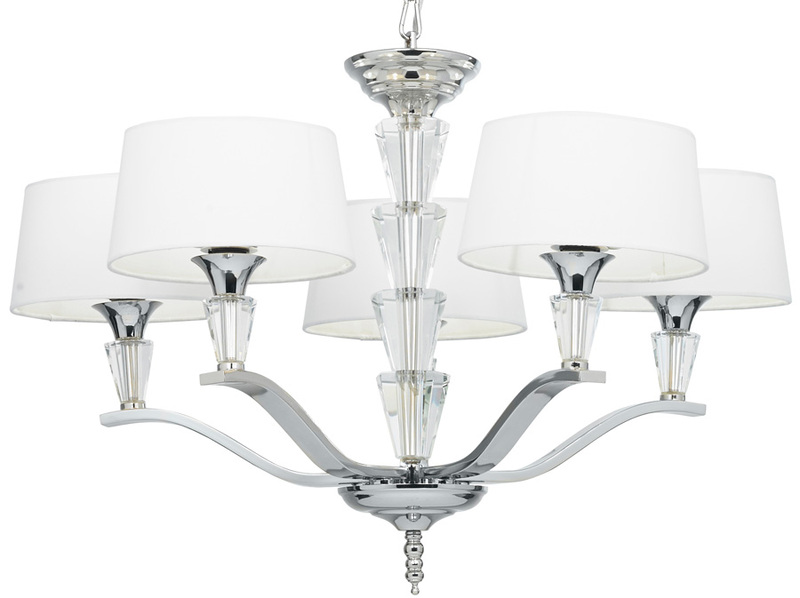 This chandelier oozes class and sophistication and will lift any room, hallway or landing. Height adjustable at the time of installation by removing chain links as needed, minimum height 755 mm – maximum height 1165 mm.